“I AM not a voodoo man and therefore, have no capacity to kill President Edgar Lungu and it is unfair for Vice-President Inonge Wina to accuse me of wishing the Head of State dead,” Hakainde Hichilema has said. And Mr. Hichilema has accused Speaker of the National Assembly Patrick Matibini of favouring the governing party in making his rulings in the House. Mr. Hichilema said that the Vice-President’s remarks in Parliament were a ploy to frame the UPND of harbouring plans to attack President Lungu so that the opposition leaders could be arrested and jailed. “We are not voodoo men, so how are we going to kill President Lungu? 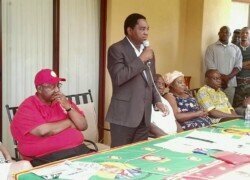 We have no capacity to kill him because they are the ones that are controlling the State apparatus,” Mr. Hichilema said. He claimed the PF was setting up a scheme to attack President Lungu and frame him (Hichilema) and the UPND leadership of attempting to kill the President as part of a plot to destroy the opposition. 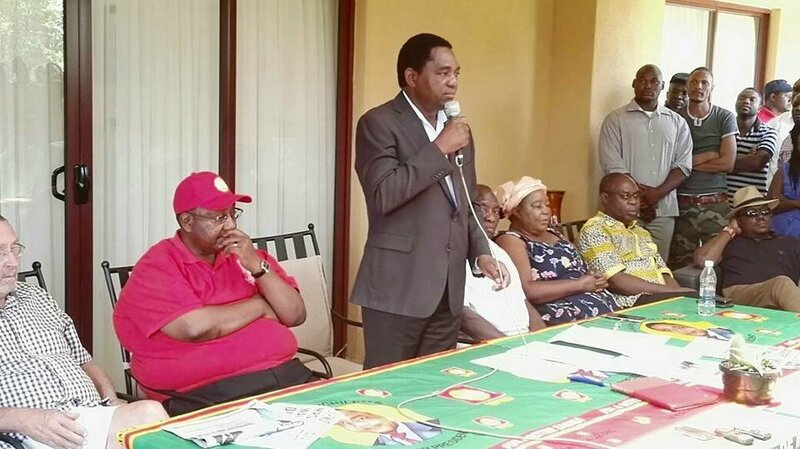 Mr. Hichilema claimed that more than 5,000 UPND sympathisers and members had been arrested and were incarcerated in various prisons across the country. He said the Republican Vice-President’s comments only confirmed that the PF wanted to destroy the UPND to get back to a One-party-State. And Mr. Hichilema has opposed the formation of a Commission of Inquiry to investigate the cause of political violence that characterised the last general elections. According to Mr Hichilema, President Lungu had constituted the 15-member Commission of Inquiry to justify allegations that the UPND was a violent political organisation. Meanwhile, Mr. Hichilema claimed that Speaker of the National Assembly Dr Matibini had failed to show leadership in the House by siding with parliamentarians from Government. He said he would not be threatened with being cited for contempt of Parliament, stating that members of the opposition were always curtailed by Dr. Matibini when debating in the House. “The Speaker will never curtail members of PF debating wrongly in the House, but he will always curtail the UPND members even before they open their mouths,” Mr. Hichilema said.